There's a sort of sophistication to be found in simplicity, and that's no secret to those behind Wymara Resort and Villas. 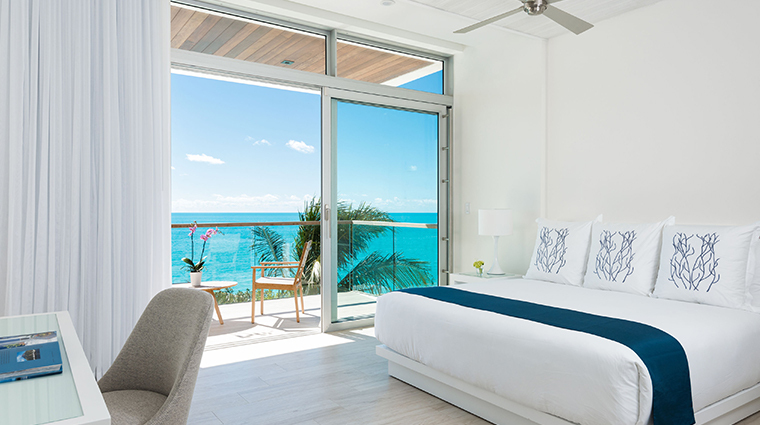 Situated on Grace Bay Beach—consistently hailed among the best in the world—the hotel overlooks the ocean displaying an electric palette of blues. 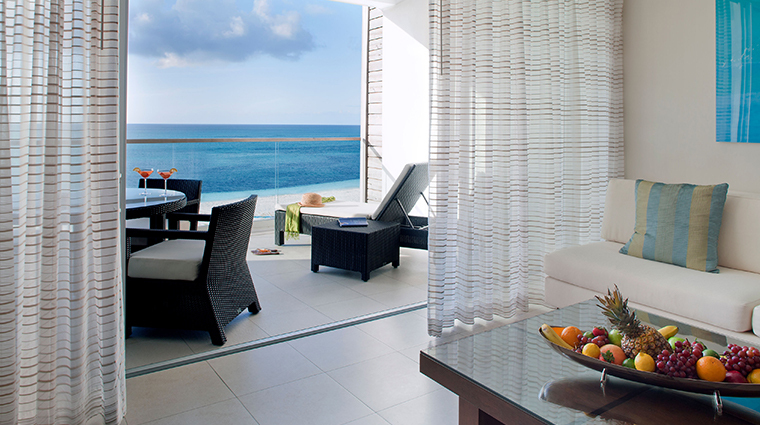 Wymara has found a way to combine the chicness of city life with the laid-back vibe unique to the Caribbean, and since it opened in 2009, the hotel has been a chic-but-comfortable tropical retreat. 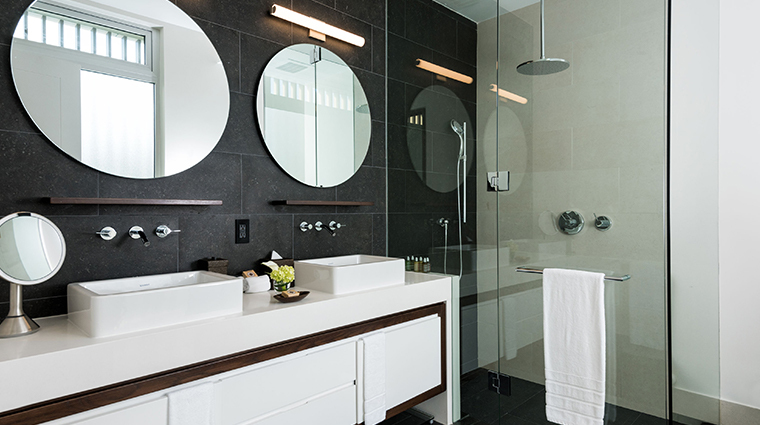 It hasn't gone unnoticed by high-profile celebrities and business executives, so star sightings aren't uncommon, but that doesn't stop the hotel from offering a welcoming atmosphere to all of its guests, celebrity status or not. Along the hotel's open-air walkways are wooden trellises adorned with bright bursts of bougainvillea, a welcome juxtaposition against the whitewashed walls. 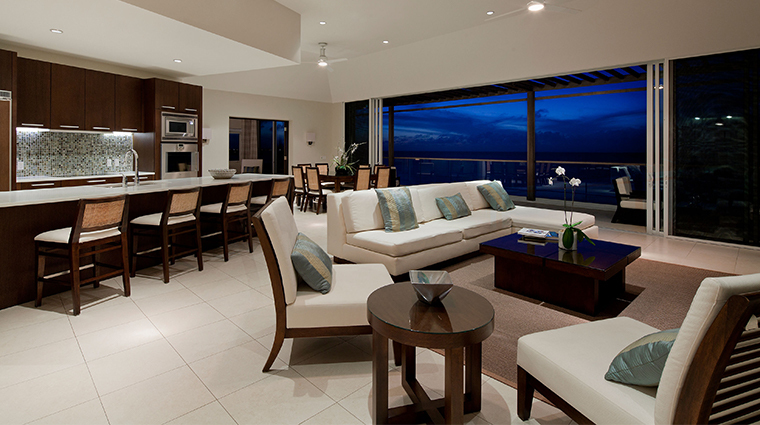 The floral eye candy is combined with steady breezes, sounds of the ocean and clear views of the beach and beyond. 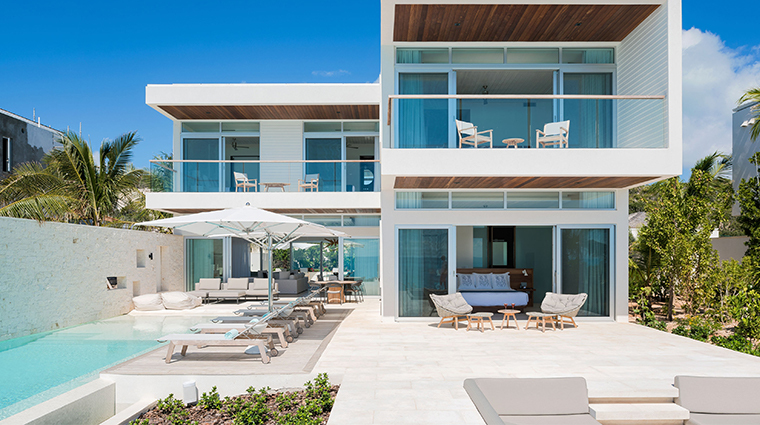 Don’t get too hung up on which room to book — they all have ocean views through floor-to-ceiling windows — though we're particularly partial to the brand-new private villas. 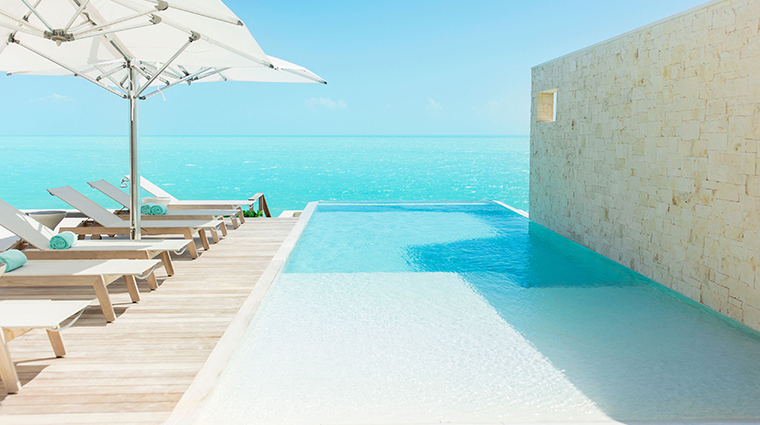 With four or five bedrooms, secluded courtyards, infinity pools and private swimming platforms over the turquoise waters, these ultra-luxe accommodations are ideal for families, group getaways or those looking for a little extra privacy. Exhale Fitness & Spa is a sanctuary for those seeking serenity and wellness. 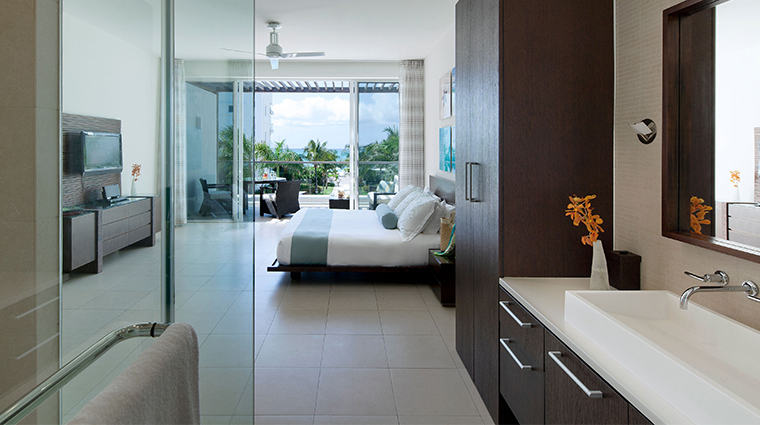 Each of the spa's treatment rooms (one designed just for couples) is complemented with an outdoor shower. Yoga, barre and boot camp classes are done alfresco with sounds of the sea in the background. 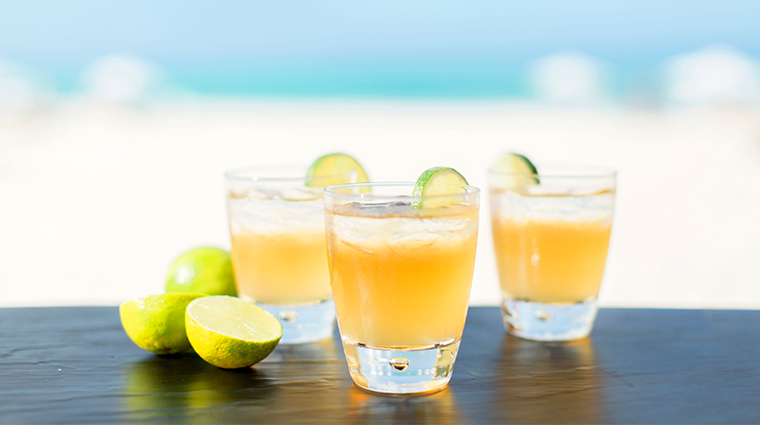 The luxury hotel has two delicious dining options, each with its own distinct style — the sumptuous and stylish Stelle, and the carefree Zest overlooking the beach. 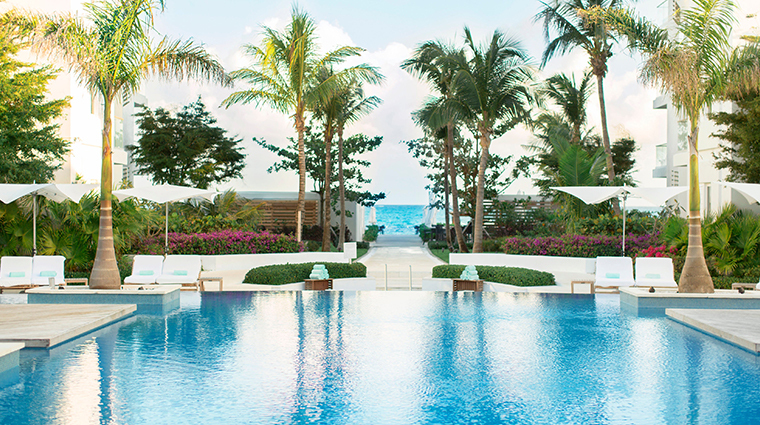 The resort’s centerpiece (both literally and figuratively) is the expansive 7,000-square-foot, infinity-edge pool. 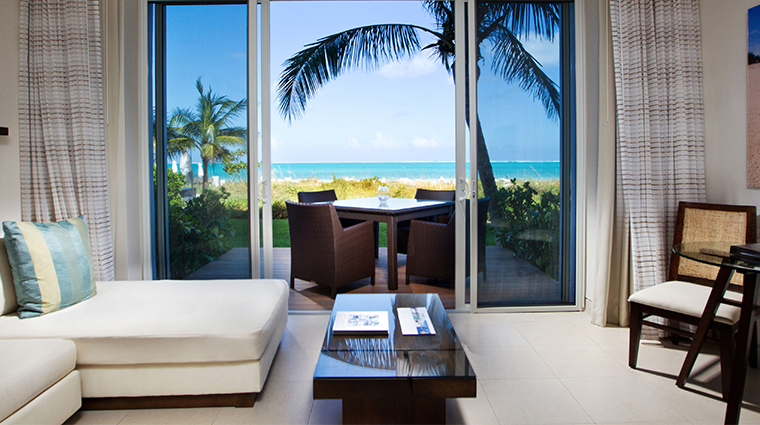 Relax on chaise lounges around the pool edge or rent a private floating pod in the center. 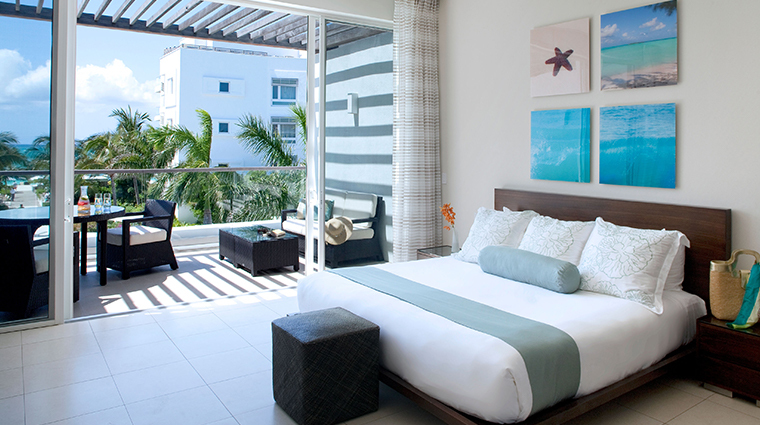 Included in your stay at the beachfront hotel is access to its Hobie Cats, kayaks, paddleboards and snorkel gear. For fitness fanatics, the spa is complemented with not only a gym, but also an outside yoga deck. After a spa treatment, retreat to your outdoor shower, shaded by the branches of a Poinciana tree and encircled with ferns and palms. 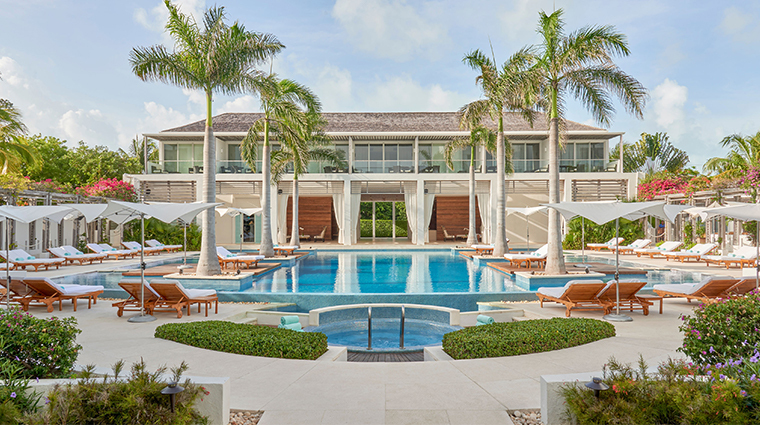 The Turks and Caicos hotel's 91 guest rooms are distributed among three buildings situated on four acres, affording plenty of privacy. 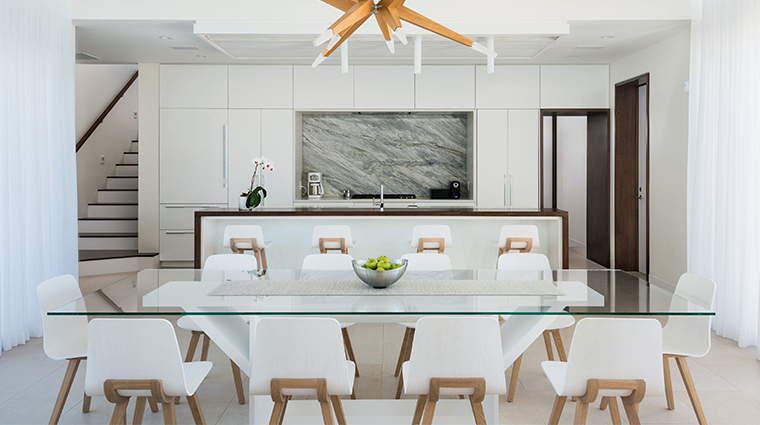 While Wymara offers a few different options, whether it's a studio or penthouse suite, each all-white room exudes a simple, minimalist design and is accented with pops of bright color and contemporary dark wood furniture. 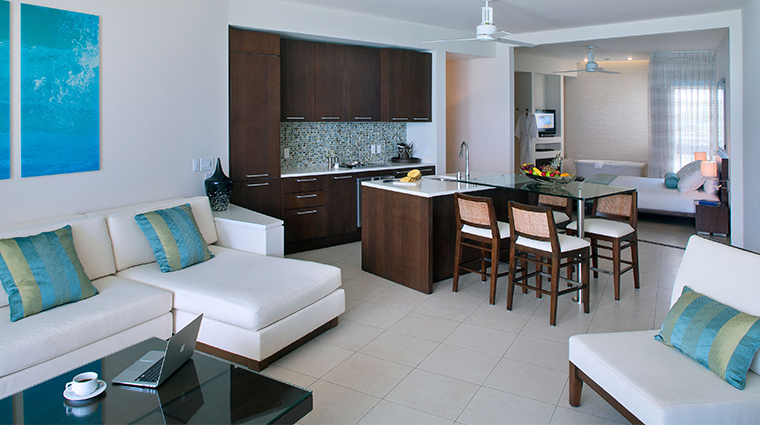 The Deluxe Oceanfront Studios are a favorite among guests with up to 790 square feet of living space and terraces that overlook the water. 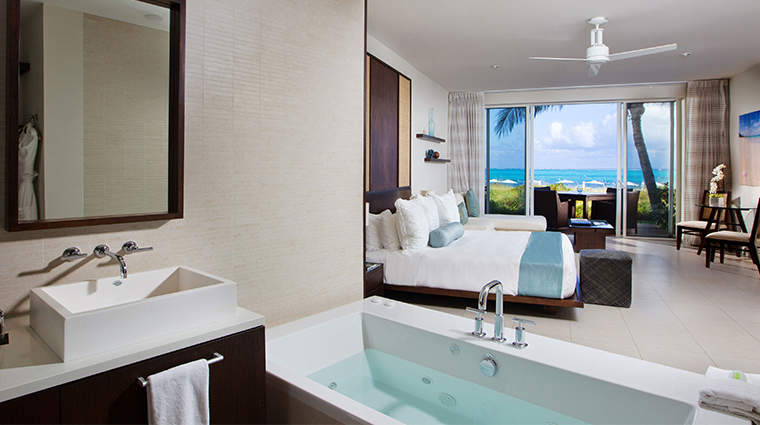 They are also equipped with a kitchenette and spa bathtub. 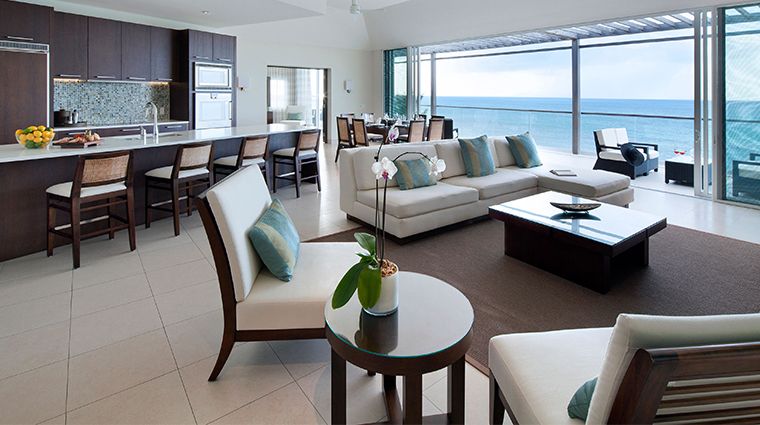 And if you're ready to really live it up, opt for the Oceanfront Penthouse Suite — it has more than 3,000 square feet, three bedrooms, a wrap-around deck and a private hot tub. 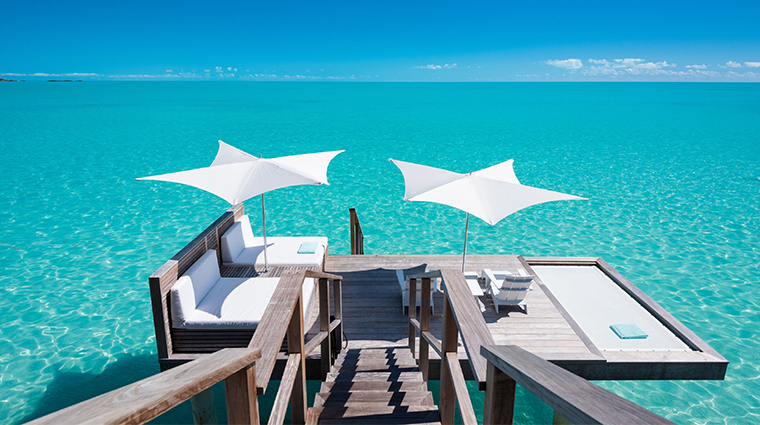 The latest and most luxe addition to the Turks and Caicos property's roster of accommodations are the six four- and five-bedroom oceanfront villas. Perfectly secluded on a hillside overlooking the bay at Turtle Tail (just a short drive from the main resort), each villa offers an infinity pool, a sunken outdoor fire pit and lounge area, indoor/outdoor living space and a private swimming platform leading to the sea. 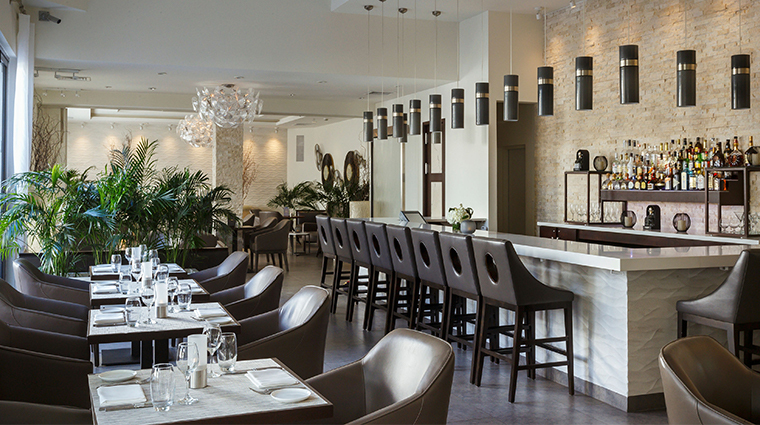 At Zest, chef Joel Vallar has combined his love of Asian and Caribbean flavors to create dishes that awaken the palate. 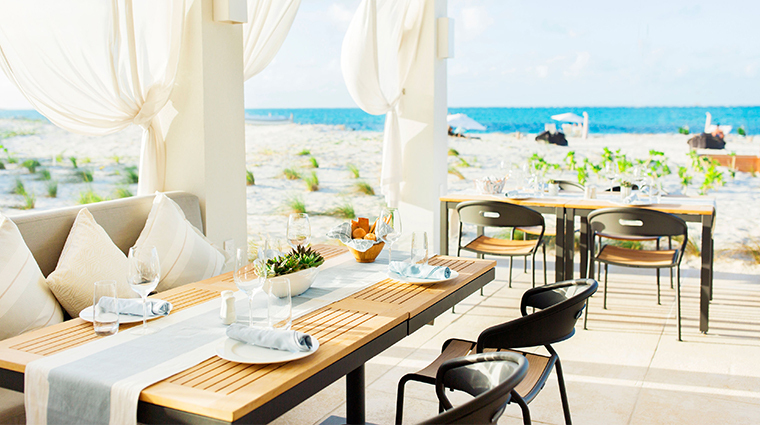 For a beachside lunch at Zest, try a Turks and Caicos classic, conch ceviche, or the Thai rare beef salad with cherry tomato, cucumber, spring onion and cilantro. Vallar knows how to do Italian-inspired cuisine, too. 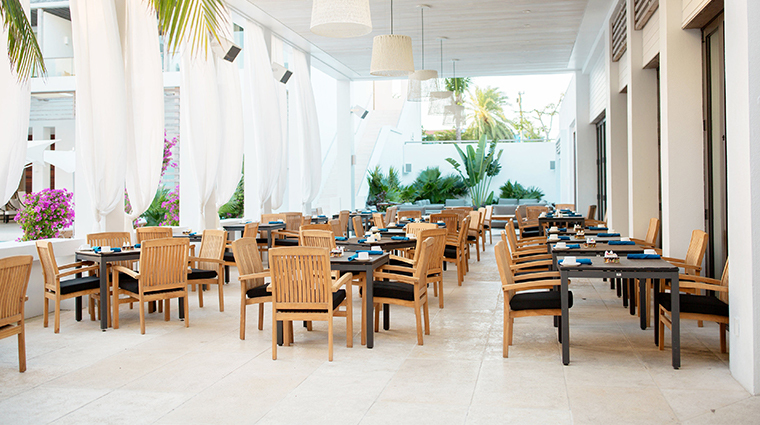 At the indoor/outdoor Stelle, bread is served with a side of a house-made gorgonzola-honey spread. The highly touted tuna tartare — served with yuzu, salmon roe, avocado pudding and micro cilantro — practically melts in your mouth. Likewise, after four hours of slow cooking, the beef rendang is especially tender with a burst of flavor in each bite.